READY FOR A VISIT? MAKE AN APPOINTMENT. Personalized care you can feel good about. Come visit us today! Meet The DoctorDoctordance - The Dancing Dentist. Sierra CareNo dental insurance? Join Sierra Care. "We are an energetic happy team, in the state of the art highly effective, profitable, smooth flowing office. We provide comprehensive dentistry to our valued patients in a high efficient stress free environment." Dr. Martin G. Williams and the staff at Sierra Dental are committed to building relationships with our patients that are based on trust. We offer positive dental experiences along with healthy, attractive smiles. 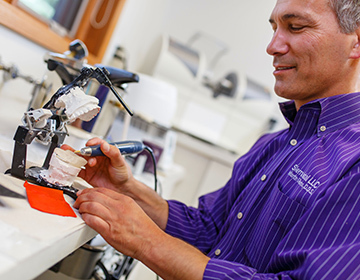 We work closely with our Green Bay patients to help them achieve ideal oral health through an enjoyable, collaborative process. At our Green Bay dental practice, we understand that each of our patients is unique and have different goals and circumstances. Dr. Williams takes the time to listen carefully to your concerns and desired results. This allows him to provide personalized dental solutions and tailor your treatment plans to meet your specific needs. Our warm and friendly staff works hard to accommodate your busy schedule with convenient appointment times. You can also expect a friendly environment at Sierra Dental. 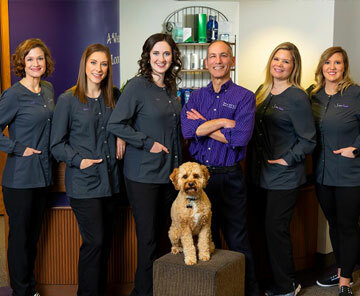 Our entire team is genuinely enthusiastic about having the opportunity to provide significant improvements to your smile and overall quality of life. 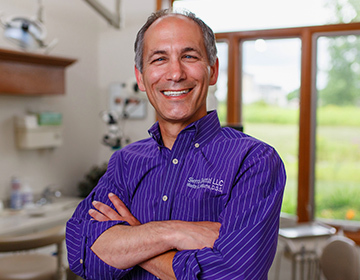 Dr. Marty Williams has provided compassionate dental care for Green Bay families. As the son of a dentist, he became inspired by the level of art and science required to produce long-lasting, beautiful smiles. At the core of Sierra Dental’s mission is Dr. Williams’ drive to discover and share contemporary solutions that enrich the lives of our community. When not serving the residents of Green Bay with quality dental care, Dr. Williams enjoys spending time with his own family. He also recently discovered a passion for dancing that he put on display this past February while “Dancing with our Stars,” a fundraiser to raise money for the American Red Cross of Northeast Wisconsin. If you are in Green Bay, Howard or the surrounding areas and are ready to learn more about your treatment options, don’t hesitate to call or stop by our Riverview Drive office. Also, feel free to schedule your dental appointment online. Don’t let your oral health wait another day - contact Sierra Dental today! As one who has a strong dislike of folks playing around in my mouth, I found Dr. Marty and staff to be courteous and very professional and the same time very friendly!! They were all very sympathetic to my needs. Thanks guys! Dr. Marty and his staff provide the highest quality dental care I have ever experienced. They truly treat it as an art. This was the first time I have had cavities filled that I did not feel pain once during the entire process.. WOW!! Sierra Dental has mastered the ability to make patients feel at ease and at home during every appointment!! Thank you all for enhancing smiles every day! This was the best experience I’ve ever had at a dental clinic! Dr. Williams is an excellent dentist who’s main priority is making sure his patient is comfortable and gives the best dentistry there is. He and his dental assistants where so unbelievably nice! I had a crown put in and never thought I’d get out of the chair saying 'this was an awesome experience, I don’t want to leave!' I’ve had absolutely everything done to my teeth through the years and I so wish I had known about Sierra Dental instead of experiencing the pain and lack of care I had to from other dentist. I will forever recommend Dr. Williams, his staff and practice to all and will only go here from now on. Thank you again!